In Hip: The History John Leland calls Whitman's preface to Leaves of Grass an early and founding manifesto of hip. Whitman's preface illustrates an important feature in hip, the interplay of high and low culture. As Leland tells the story, the seminal ideas of hip were articulated by people like Whitman, Thoreau, Twain and Melville. In each case we see a world-class mind engage with common folk and common life. Hip is very intellectual but it is not found in ivory towers. Hip is the intellectual on the street corner. As Whitman says, hipsters "go freely with powerful uneducated persons." Leland highlights this impulse--the mingling of high and low culture--in the "golden age" of hip. Specifically, Leland contends that hip reached its zenith with the bebop musicians and the beat writers. Both bebop and beat were uncompromisingly intellectual. The innovations of Dizzy Gillespie, Charlie Parker, and Thelonious Monk were not easily digestible to those accustomed to the easy melodies of swing. To get bebop, then as now, one had to understand what was going on, intellectually speaking. But bebop wasn't intended to be an academic experience. It was the product of a gritty urban existence. It was the musical equivalent of Whitman's poetry. In a similar way, beat writers such as Ginsberg, Burroughs, and Kerouac brought intellectual, poetic, philosophical and artistic commentary into gritty and forlorn places. The settings of beat writing were common, dirty, psychiatric or workaday. But the observer inside those experiences was a genius. That fusion of art and gritty reality--the jazz musician in the smoky club, the beat writer on the road--is the essence of hip. Hip Christianity, therefore, will also be a fusion of high and low culture. Of artistic or philosophical sensibilities in the middle of the grim of life. That mixture of enlightened trashiness is the vibe of hip. And, as you might expect, Christianity is ideally suited to be hip in just this way. From its beginning Christianity has been unabashedly intellectual while finding its life among the common folk and in the gutters. In a sense, the Incarnation is the hippest event in the history of the world. The quintessence of hip is someone of Jesus' intellectual and artistic caliber hanging out with prostitutes and rough working class people. 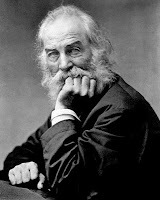 In the words of Whitman, Jesus "stood up for the stupid and crazy." In short, Christians known that Jesus is more likely to be encountered in a bar than in a pew. So hip Christianity revels in the mix of high and low, enlightened and profane. Hip Christians like to have church in bars and coffee shops. Hip Christians like to connect high theology with low cultural texts such as song lyrics, movies, TV shows, and comic books. Hip theology is done among the people using the texts of popular culture. The trouble is, this "hip theology" and "hip Christian engagement" can be overdone and forced. Often the juxtaposition of high and low can appear forced and strained. A preacher doing a sermon series on U2 to capture the attention of his younger audience might fail miserably. If you look like you are trying to be hip then, well, you aren't hip. So how can you judge when the fusion of high and low is really hip versus a little lame and square? I have two thoughts. First, recall that hip is always moving, trying to escape and stay out in front of the mainstream culture. What is hip today won't be hip tomorrow. Hip has to stay in the minority to remain hip. Consequently, the key to a hip sermon, book or blog post is being early. Remember, hip is a form of enlightenment. To be early is to know, to be surfing the ever-moving wave of hip. To be late to the tide of low-culture hipness is to demonstrate that you are attempting to be hip. That is, you didn't notice the hip trend until it had become mainstream. You can't do a hip sermon once the phenomenon has passed the tipping point. That doesn't mean the sermon is bad, just that it isn't hip. Second, the fusion of high and low culture, to be hip, has to be artistic. It needs to be well-done, as a form of art. Not every philosophical or theological analysis of a pop-cultural text is hip. The analysis could be dry, ham-handed or boring. But if the fusion of high and low creates something fresh, novel and surprising then we call it hip. The high-level analysis makes us appreciate the pop-cultural text even more. To conclude, hip Christianity follows the path of Jesus and the founding personages of hip. Hip is found with scoundrels on the Mississippi, on the banks of Walden pond, on the streets of Brooklyn and in speakeasys and psychiatric wards. These are the locations of both hip and Christianity. Is hip a value judgment? Funny. Boy, one could have a lot of fun making lists like that. I think so. Obviously, "hip" is an abstraction that isn't going to be boiled down to some kind of rubric. HIp is a value judgment, an aesthetic judgment, with lots of diversity of opinion and schools of thought. But I do think, as Leland tries to do in his book, that some broad characteristics run through attributions of hip. But at the end of the day hip is in the eye of the beholder. I wonder if "hip" simply names, to some extent, something being itself. Because the minority/early status of "hip" is finding its nadir in the way that Twitter/blogs/etc. find their purpose in being the absolute FIRST to post about this or that new thing. Which means that, according to the way you're spelling it out, even if these "first" posts are well-written and on the tide of culture, they still can't be called "hip" because they are focused on being hip (i.e., first) rather than being good. And to be good means to be the best one can be, to fulfill one's telos. Could that be another definition of hip?